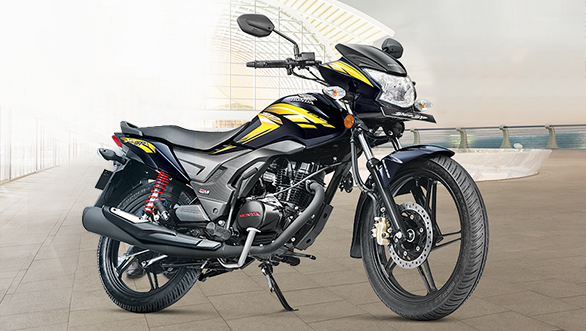 Honda Two Wheelers has opened sales of the refreshed 2017 CB Shine SP in India at Rs 65,354 ex-Mumbai. The motorcycle, like before, is available in three trims - standard (Rs 65,354), DLX (Rs 67,947) and then the CBS at Rs 70,022. The motorcycle also sees a marginal increment in its price from the BS-3 units - approximately Rs 300. The engine sees a slight drop in power compared to the BS3 (10.7PS) unit at 10.3PS while torque stays at 10.30Nm. The motorcycle comes with a 5-speed gearbox unlike the Shine which persists with a 4-speed unit. The other change is the introduction of AHO and new graphics. Honda has also added new MRF nylogrip low rolling resistance tyres to the CB Shine SP for increased fuel efficiency. While there are no fuel efficiency claims being made, the company says that it is patenting this technology. Honda claims a top speed of 93kmph from the CB Shine SP. The new Honda CB Shine SP will compete with the to-be launched new Hero Glamour, Bajaj Pulsar 135LS as well as the Yamaha Saluto.